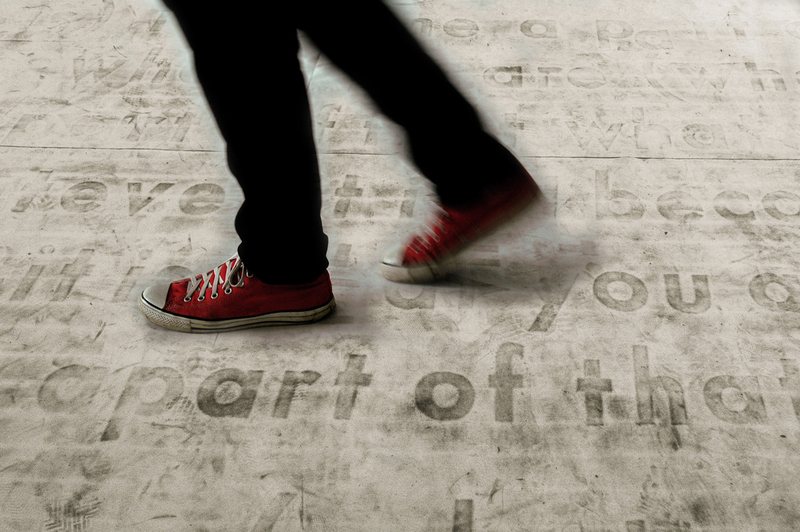 “What You Are” is an interactive, site-specific installation at the Klapper Hall, Queens College, which draws from the historical identity of the site. 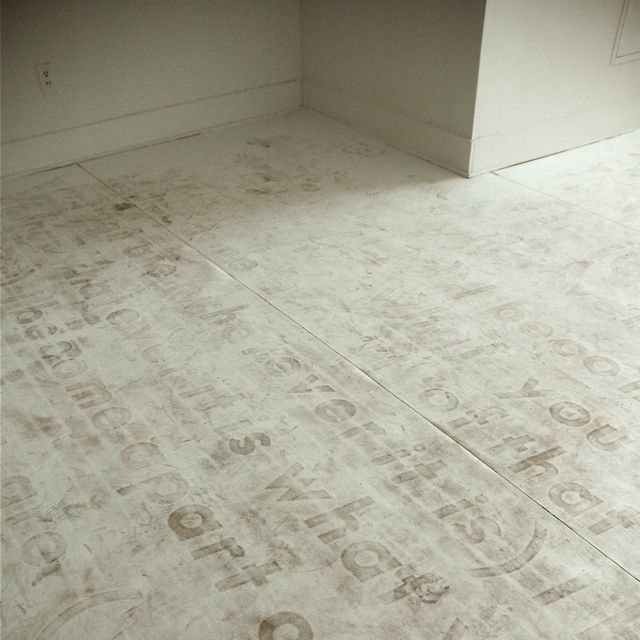 Text, hidden underneath the vinyl covering, gradually appears on the surface by the accumulation and amount of dust brought in to the gallery on their shoes according to the intensity of the visitor’s movement. 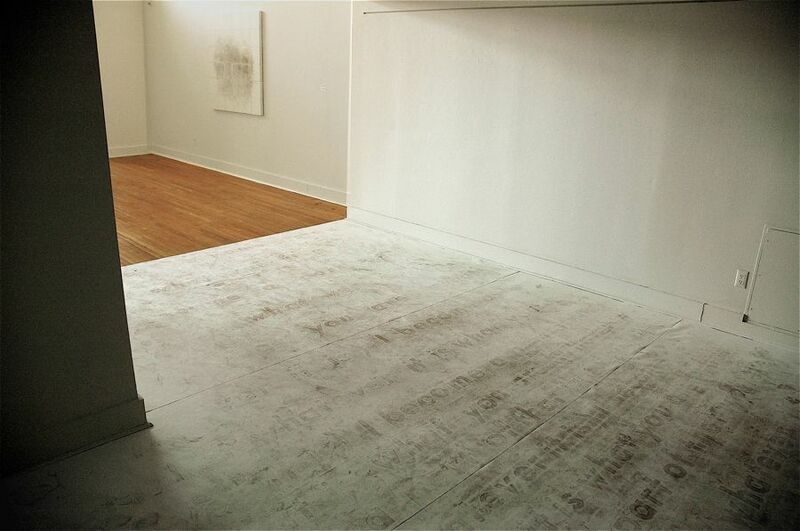 “What You Are” reveals a part of hidden history related to Klapper Hall, Art Department of Queens College, New York, formerly the Walt Whitman Building. Walt Whitman instructed students in 1839-40 in a building called at the time Jamaica Academy, which was located on the present campus of Queens College. Walt Whitman Building the former English Department housed also the poets museum before it’s relocation to his birth house in Long Island. Renovating and redefining of the building in the 1950’s covered the connection to the poets presence on the site. 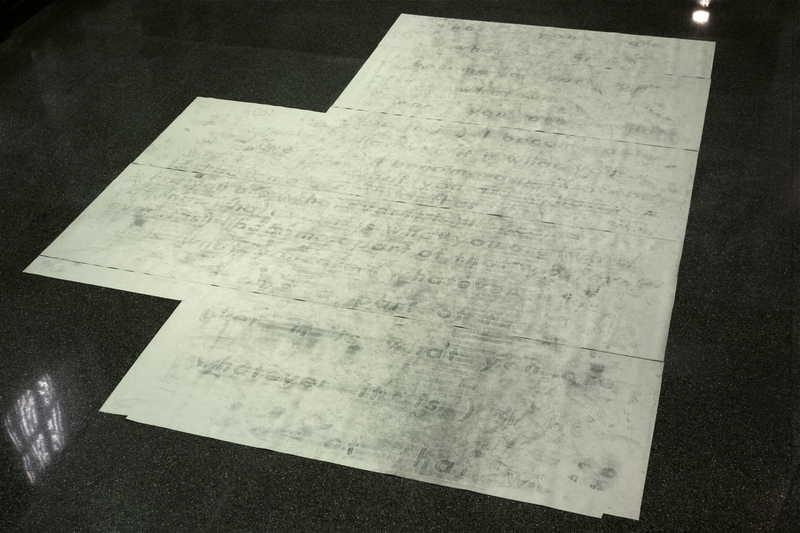 “What you Are” reveals this part of a history, which lies underneath the present surface of this site, by gradually exposing a fragment of Walt Whitman’s poem on the floor surface. The piece “What You Are’”uses fragments of Walt Whitman’s poem ”American Feuillage”, 1860, from the collection “Leaves of Grass”. Walt Whitman’s poetry addresses the theme of identity and place. Suggesting a concept of site created by internalizing a place. New place the vision of future America is created out of connection and relationship between person and place. ‘What you Are” creates a space that encourages visitors to be involved, connected and be part of the place and its history. As participants’ presence and activity accumulates in to the patterns a new landscape emerges, revealing the poem hidden under the surface. More info about the site history.